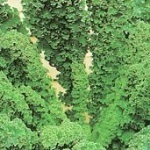 Italian cut and come again variety with dark green crinkly leaves. Sow March to August. Very hardy old variety (mentioned by Charles Darwin) with green/purple leaves and a secondary crop of side shoots in spring. Hardy variety with densely curled leaves and good flavour. Sow April-July. Named because it filled the 'gap' in British cropping when traditionally there was little fresh around. Late cropping with good frost resistance. Sow July to late August. 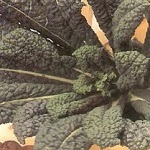 Jagged leaved Cavalo Nero type with blue grey leaves and mild cabbage flavour. Slightly more tender than Cavalo Nero. Sow spring to early summer. Tall, productive, leafy habit. Very hardy. Sow in spring. 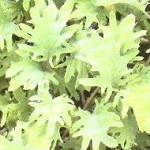 200 Leaves are flat, non-curled and deep grey-green with purple veins and stems. Pick when young for salads. Cooked older leaves are delicious with a slightly spinach flavour. Sow spring to early summer. Very hardy. Can be picked as baby leaf but older leaves are good too! Very blistered purple/green leaves with purple stems. Very pretty and colour is more pronounced with frosts.